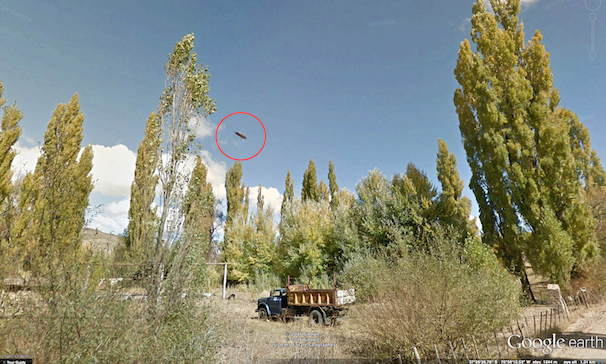 UFO SIGHTINGS DAILY: UFO Recorded By Google Car Mapping Argentina, June 12, 2016, Photos, UFO Sighting News. UFO Recorded By Google Car Mapping Argentina, June 12, 2016, Photos, UFO Sighting News. This was sent into me yesterday by a reader of UFO Sightings Daily. 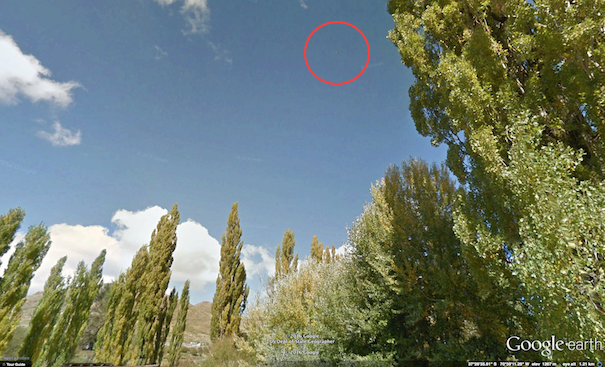 He said he found a an object on Google Earth in Argentina that he wanted me to take a look at, because it had a disk shape. 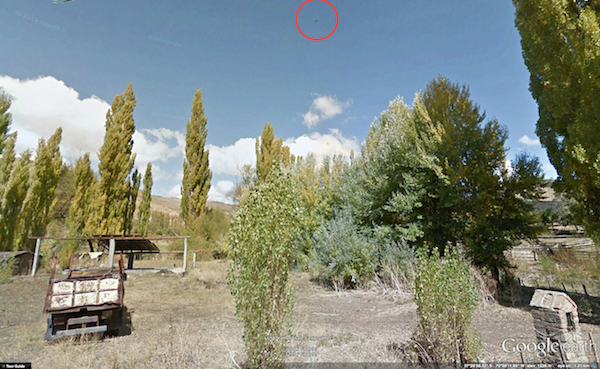 When I checked out the coordinates he gave me, I found that the UFO was visible 4 times. 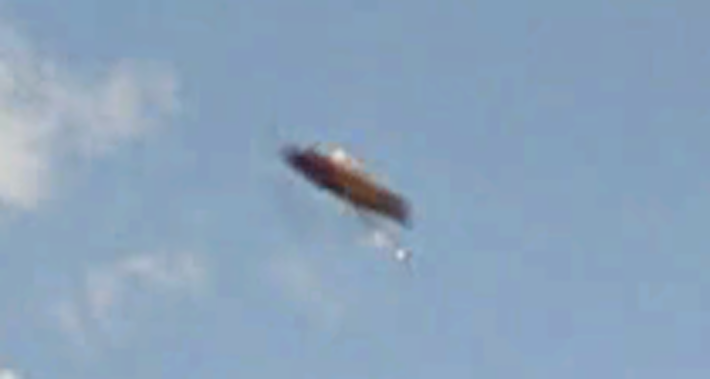 The first three times its seen far away, but still a disk shape...tilted. The fourth and final time its extremely close and tilted again. Its also tilted, which is what Bob Lazar (Area S4 scientist) says that disks need to do to move from place to place. It also has an antenna sticking out of it, this shows us the direction its moving, the antenna seems to be bent the opposite way. Purpose may be for magnetic energy waves it harness to hover. This is a very old and secluded area. I see brick buildings that were made in the 1800s nearby, with very few farms ever few miles. This is the perfect location of UFOs to do research on humans or other creatures and not be noticed. 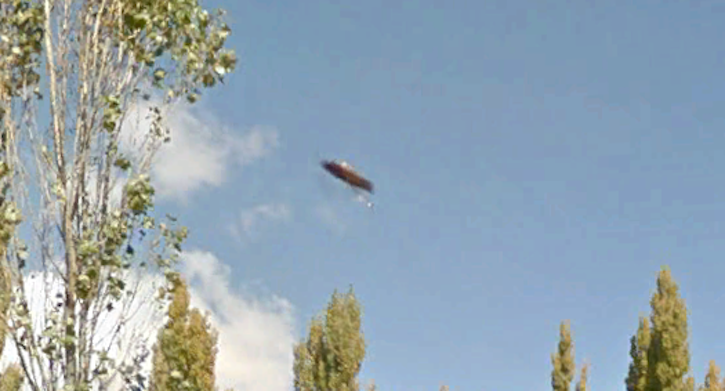 Absolute proof of UFOs existing and aliens observing humans from a distance.